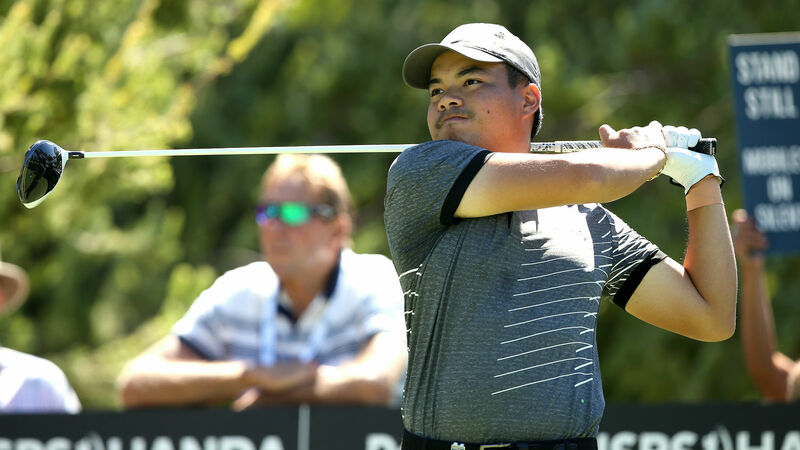 Miguel Tabuena wrote his name into the European Tour history books as he claimed a share of the World Super 6 Perth lead after the opening round. Filipino Tabuena started at the 10th at Lake Karrinyup Country Club and began in blistering fashion, birdieing eight of his opening nine holes to make the turn in 28 and equal the record for the most European Tour birdies on a front nine. He posted another gain on the first to go nine under, but bogeys on the fifth and the ninth, his final hole, dropped him back to a tie with Kristoffer Reitan with a seven-under-par 65. Reitan progressed from all three stages of qualifying school in 2018 and dropped just one shot in a performance that belied his inexperience at the professional level. The 20-year-old boosted his hopes of being in the top 24 players who will contest the six-hole knockout match play on Sunday, as did Benjamin Campbell and Richard McEvoy, who each carded 67s. Six players are three strokes off the pace, with world number 85 Ryan Fox among them. Last year's runner-up James Nitties carded a two-under 70.